The taste of the Mediterranean is now available at your finger tips. Nostimini brings together a secret blend of herbs and spices unlocking the true flavours of the Mediterranean. Nostimini can be added to meat, fish poultry and vegetables to season and unlock those hidden flavours. 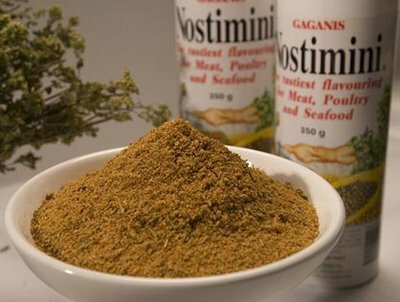 Gaganis Nostimini is a name given by the Gaganis Family to describe their recipe of herbs and spices used to season foods. Utilising quality herbs and spices true to Mediterranean cuisine, Nostimini acts in harmony with the food, ensuring the true intense flavours can be appreciated. The blend of herbs and spices in Nostimini have been carefully selected to ensure they provide a finely balanced seasoning. The resulting Nostimini arouses the senses and guarantees a satisfying feast! Nostimini was always intended to be widely used and available. The product is packed in retail packages (350g shakers and 350g and 1kg refill packs, and catering/restaurant packs of 7.5kg). 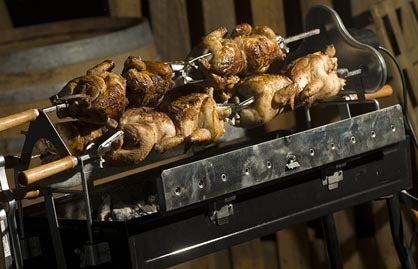 Quality charcoal grill eateries are fond of Nostimini helping them to realise the true Mediterranean taste of their lamb, chicken goat or pork. The retail packaged shakers or refill packs ensure that home users can take advantage of the seasoning. Sprinkle generous amounts of Nostimini over any meat, seafood or vegetable dishes. 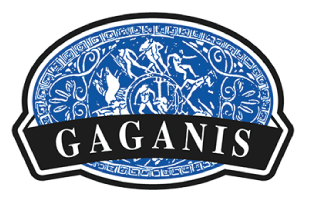 Nostimini is a wholly owned Trade Mark of Gaganis Bros. Its unique name and the product it represents, has been acknowledged worldwide as Trade Marks have either been registered or are pending around the world including the US, Great Britain, Greece, Turkey, Cyprus, Bulgaria, Germany and Spain. Importantly, Nostimini is registered in Australia where it is truly appreciated as an authentic Mediterranean style seasoning.